I can’t believe that after the months of the planning and reviewing of applications the Accelerator has already started up again. I also can’t believe that week 1 is already over! The next 13 weeks are going to just fly by. Week one was great, we had orientation and discovered we have team members from four continents and born in the following countries: Argentina, France, Portugal, Malaysia, Indonesia, USA, UK, China, Canada, HK, and Russia. After Paul’s overview of customer development, we broke up the teams into four groups and gave them a startup weekend style assignment to work on a business model and customer development exercise in the following four categories: mobile health, language learning, dating, and fashion. We split up each team so no co-founders are on the same team. After two days or so of doing customer development we had the teams come in and make a presentation in front of a panel of judges (made up of four mentors of the program.) One team had projection problems so we made them “be agile” and present without slides. 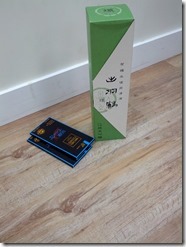 The winning team won an expensive bottle of Sake and chocolate. (The only judging criteria was which team did the most customer development.) I kind of guilted the winning team to share the spoils with everyone. 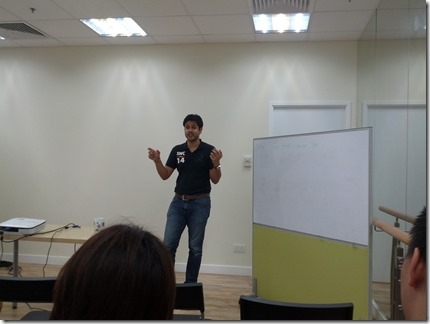 After the mini-startup weekend/customer development exercise, Paul hosted a customer development seminar at the Good Lab. 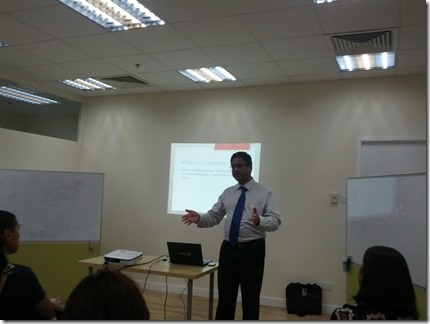 This was open to the public and some members of the previous cohort came by for the seminar as well. We also had our first mentor come in and visit us! Vinod Menon came in to speak with the teams today. As the founder of Knowledge Works, Vinod runs an Accounting as a Service (AaaS?) 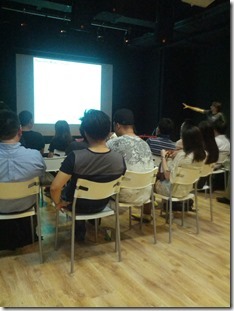 company and spoke about the ins and outs of incorporating in Hong Kong. Being a short week (Friday is a public holiday in HK-The Buddha’s Birthday!) 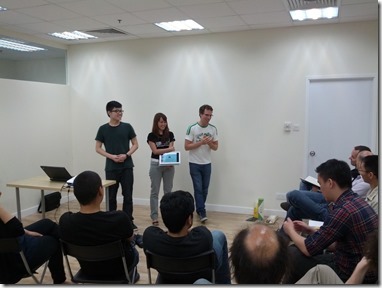 we had our founder talks and Friday check-in on Thursday. We learned a lot about each other this week. We also all went to a local HK meetup, TDHK for our first social. 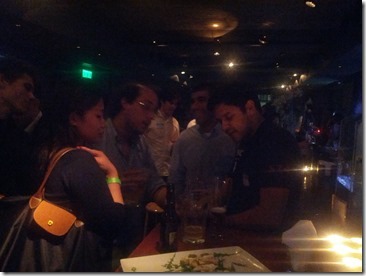 It was suggested that we do the founder talks next week at a bar, to get better stories. Now time to get cranking on the projects! Stay tuned for the next update…. Published at DZone with permission of Stephen Forte , DZone MVB. See the original article here.